According to my peanut gallery, this is one of the best if not THE best thing i’ve ever made. So i am pretty sure that means you should make it. For Thanksgiving. Sooo like right now. 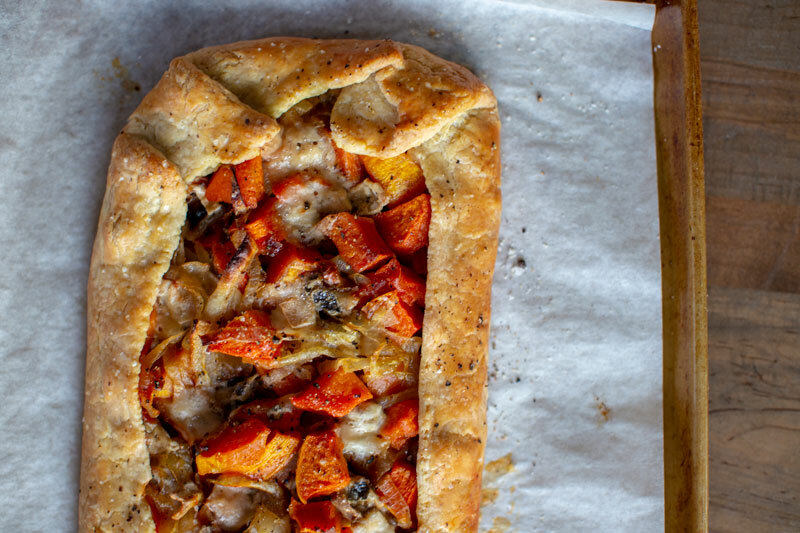 Its so good and pretty easy to make – the crust is the hardest part but since it is a galette its meant to look “rustic” so imperfections are encouraged. But if making pie crust is a deal breaker, i give you permission to use puff pastry because i just want you to make this and be the star of thanksgiving. I first made this in the traditional circular shape but found it hard to cut nice looking pieces for a crowd. So this time i opted for a rectangular shape which i then cut lengthwize down the middle and then into squares. This worked perfectly for a group of both big eaters and those who thought they’d only have one piece but could then go back and grab a second without feeling too guilty. I really like this with gorgonzola but feel free to do your own thing here – any creamy, melty cheese should work nicely so if stinky isnt your thing try fontina, chevre, or perhaps fresh ricotta! The exact cheese i used (pictured above in two varieties) is gorgonzola dolce, a creamy and buttery cheese with a slightly stinky tang. 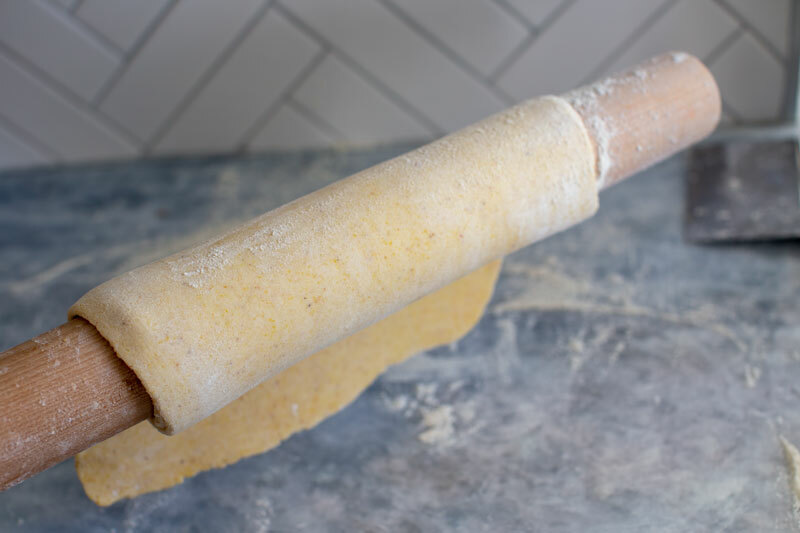 Make the pastry: combine the flour, cornmeal and salt in a food processor or large bowl. Add the cold cubed butter and pulse or blend with finger tips until the butter is roughly pea-almond sized. In a separate bowl whisk together with sour cream, lemon juice and water then add it to the flour mixture, mixing just until the pastry comes together into a ball. Flatten into a rectangle and wrap in plastic wrap. Refrigerate at least 30 minutes or up to a few days. 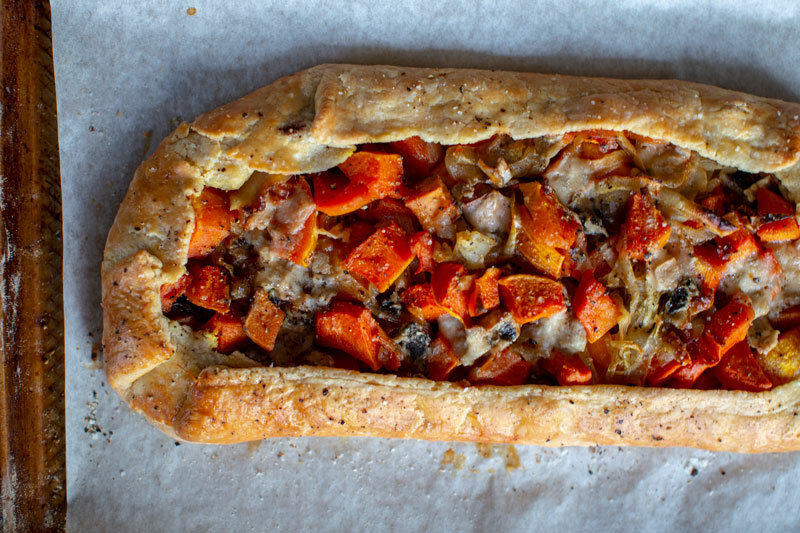 Make the filling: Preheat oven to 450˚F and line two large baking sheets with foil. 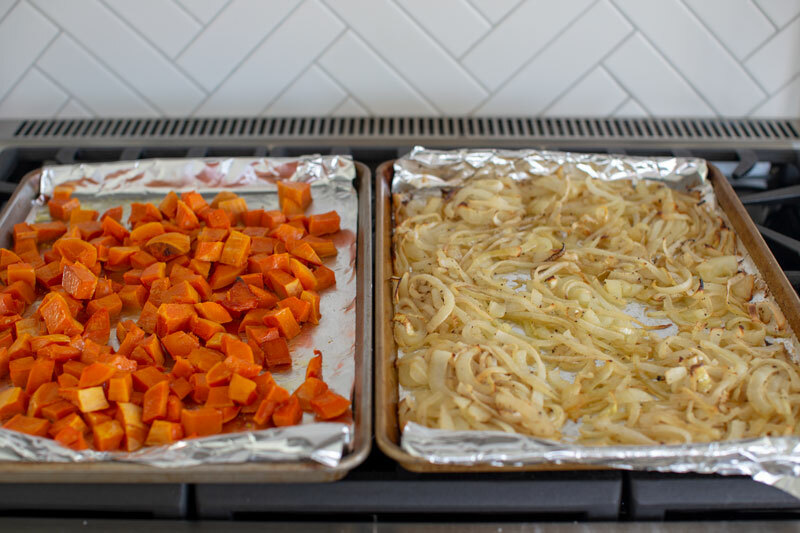 Put the cut squash on one and onion on the other, tossing each with a few glugs of olive oil then season with salt and pepper and red pepper flakes if using. Roast in the oven for 30ish minutes, tossing occasionally until the squash is easily pierced with a knide and onion is soft and caramelized - they probably wont take the same about of time (which is why they should be on separate sheets) the onion might take longer and require a bit more tossing. Let cool completely before assembling the galettes - this can be done a few days in advance even and refrigerated until needed. 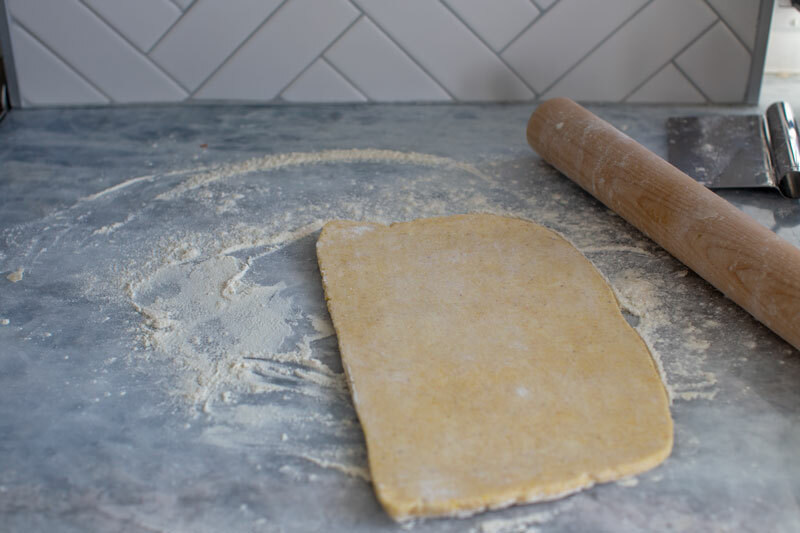 When ready to make the galettes, preheat the oven to 400˚F and take the pastry dough out of the fridge and let sit 15 minutes before rolling. 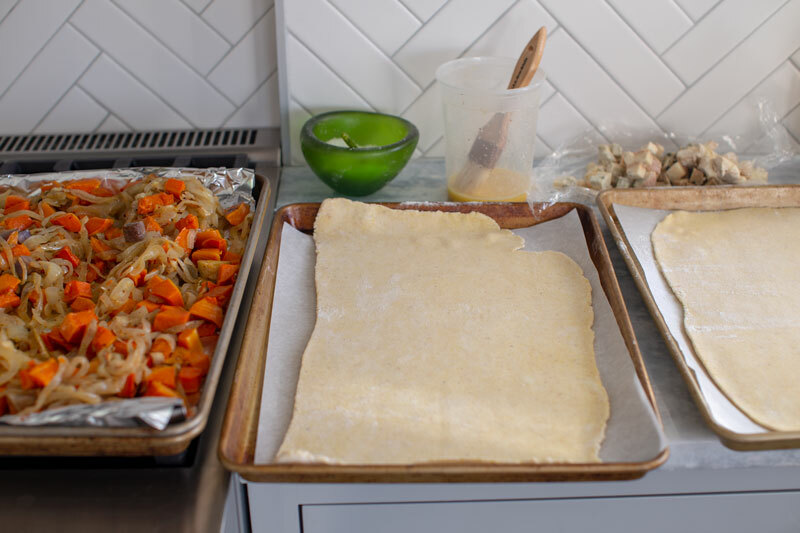 Line a sheet pan with parchment. 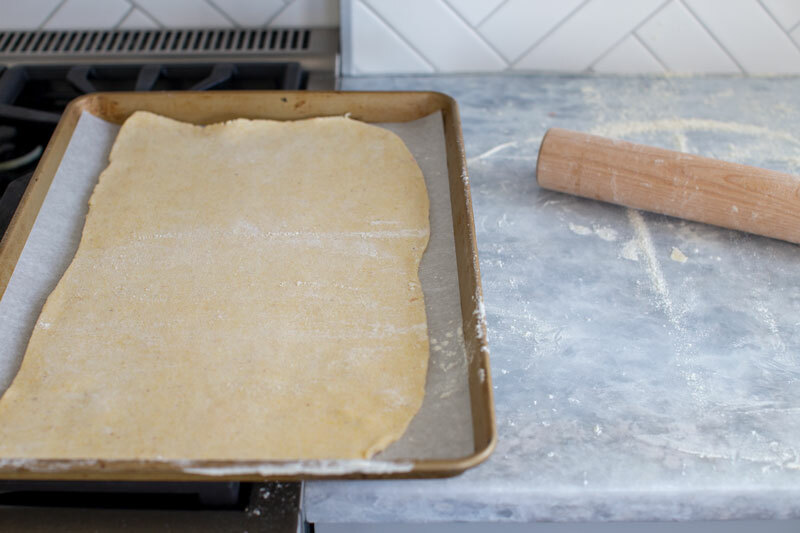 Roll the dough out, on a nicely floured counter, to a large rectangle (about the size of your sheet pan) then transfer it to the sheet pan. 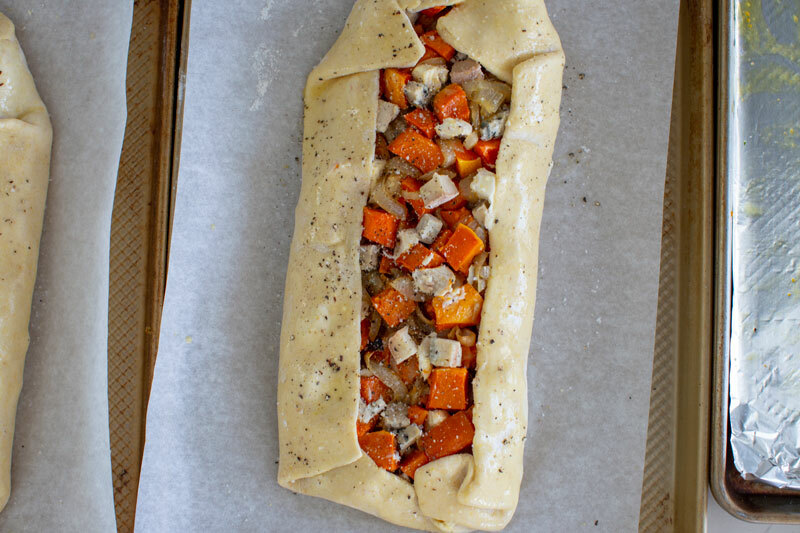 Toss the onions and squash together and fill the center of the pastry, leaving about an 1½ - 2 inches around the edge. Distribute the cheese bits evenly over the filling, sticking some under the surface. Fold the pastry over the filling leaving the center open and not worrying about making anything perfect. Beat the egg with a fork in a small bowl and brush onto the outside of the pastry to help it brown nicely. Sprinkle the whole thing with some coarse salt and bake for 30-40 minutes. Let rest 5 minutes before serving. This is delicious hot, warm or room temp (or lets be honest its darn good cold too). 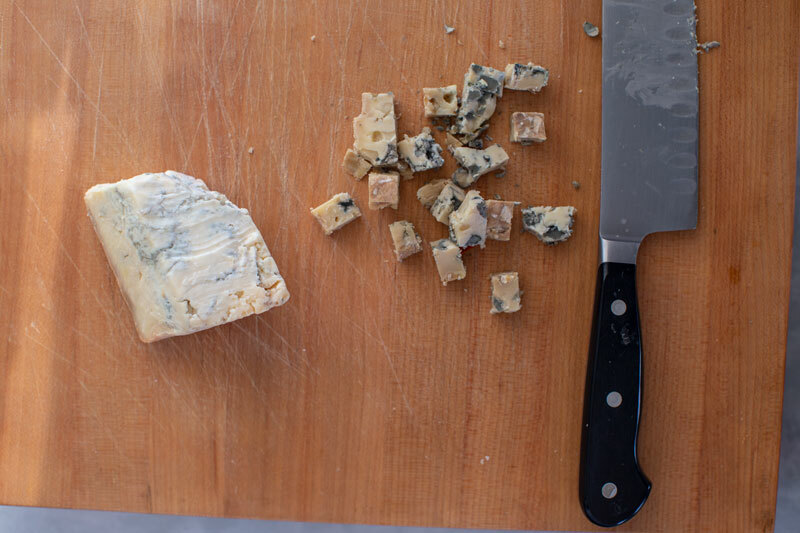 *if you are not a fan of gorgonzola or blue, use whatever cheese you like! be creative, perhaps a chèvre or ricotta.